Not every patient we treat loves coming to our office. The Smiles of Santa Fe team goes above and beyond to make the experience better for our patients, but at the end of the day, some patients still need a little extra help relaxing and receiving the dental services they need. For these patients as well as those who need help becoming numb or who must undergo a number of procedures, Anti-Anxiety dentistry may be the best solution. Contact our team to find out more about anti-anxiety dentistry services available in our state-of-the-art Santa Fe, NM office. 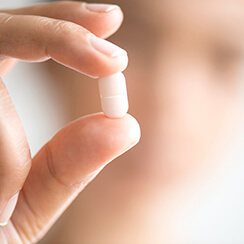 Anti-Anxiety Medication is the best sedative option for anxious patients because the medicine is taken prior to ever leaving home. That means by the time patients reach our office, they’re already completely relaxed and ready for their stress and pain free dental visit. Because the effects set in before patients arrive and remain long after they leave their appointment, a trusted friend or family member needs to drive them to and from our office. Patients remain conscious throughout their appointment, but they are extremely relaxed. Additionally, most patients report remembering little to nothing about their visit. One of the longest used forms of anti-anxiety dentistry, nitrous oxide offers a mild sedative effect. 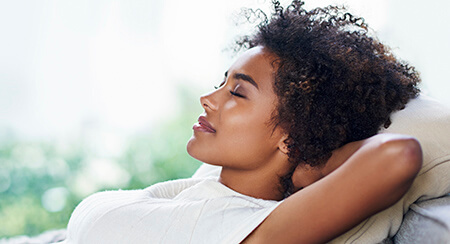 Sometimes referred to as laughing gas because of the state of euphoria patients enter, this fast acting sedative can be easily adjusted throughout treatment to ensure patients maintain the optimal level of comfort from start to finish. 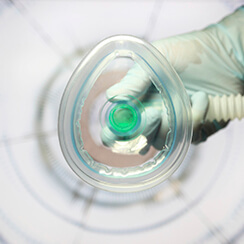 The nitrous oxide is inhaled through a nasal mask during treatment, keeping patients relaxed and free from pain. Best of all, the sedative wears away as quickly as it takes effect, so there’s no need to have a friend or family member drive you to and from our office.